Sidney Dillon Ripley, “Sidney Dillon Ripley,” Histories of the National Mall, accessed April 22, 2019, http://mallhistory.org/items/show/134. 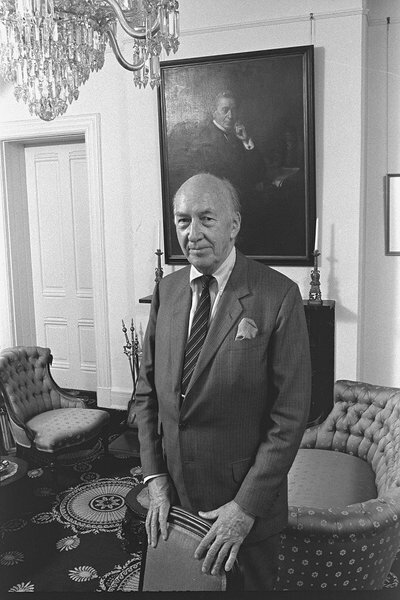 S. Dillon Ripley was the eighth Secretary of the Smithsonian, serving from 1964-1984. Under his leadership, the Smithsonian Institution expanded and revitalized. Ripley believed museums should be vital sites of learning and engagement, actively involving the public. He also encouraged expanding the Institution's research agenda through a number of initiatives, including the establishment of the Conservation Biology Institute of the National Zoo. The first annual Folklife Festival, a showcase of living history and culture held on the National Mall, was organized with his full support. S. Dillon Ripley was born in New York City in 1913. When he was 13 he traveled to India with his sister and took a walking tour which led to a lifelong interest in the birds of the Indian subcontinent. He joined the American Ornithologists' Union in 1938 and completed a PhD in Zoology at Harvard in 1943. He briefly worked with the Smithsonian Institution at the National Museum as an assistant curator of birds in the early 1940s, but enlisted to serve in the Office of Strategic Services during World War II. His intelligence work took him to India, Thailand, and Ceylon (now Sri Lanka). Although many intelligence officers posed as scientists to gain access to restricted areas, Ripley actually conducted birding expeditions while gathering intelligence. After the war, Ripley became a professor at Yale as well as the director of Yale's Peabody Museum of Natural History. 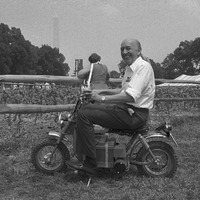 He was elected the eighth Secretary of the Smithsonian in 1964. 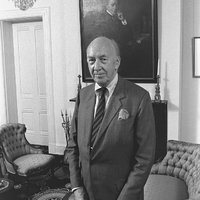 During his tenure, Ripley worked to invigorate and expand the Institution. A number of new museums were added, including Anacostia Neighborhood Museum, the National Air and Space Museum, the Renwick Gallery, the National Portrait Gallery, the National Collection of Fine Arts, the Cooper-Hewitt Museum, the Arthur M. Sackler Gallery, the National Museum of African Art, and the Hirshhorn Museum and Sculpture Garden. 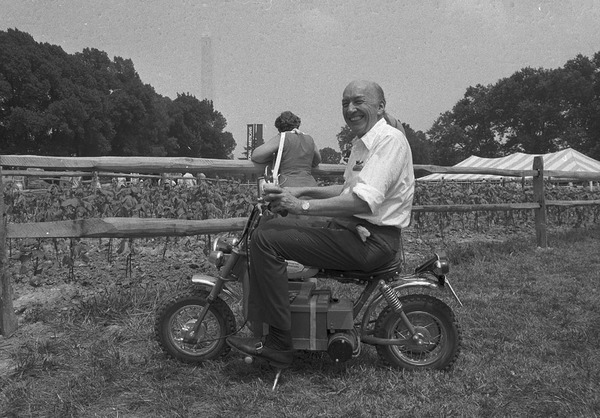 He helped to establish the annual Folklife Festival in 1967 and Smithsonian Magazine in 1970. Ripley also made the museums more accessible to children, both inside and outside the museums; the carousel and Uncle Beazely, a fiberglass triceratops, were installed on the Mall while Ripley was Secretary. As the National Mall became the site of many protests, Secretary Ripley welcomed the protesters into the museums. He also took on controversy within the museums, defending an exhibit on evolution in the Museum of Natural History when a lawsuit challenged its opening. Ripley was awarded the Medal of Freedom in 1985. One of the buildings on the Mall is named for him, the S. Dillon Ripley Center, which houses offices, a gallery, a conference center, and classrooms. He died in 2001 at the age of 87. S. Dillon Ripley, 1913-2001. Smithsonian Institution Archives.